"The name CARABAO actually means ‘Buffalo’ in Tagolog, and the idea was conceived during an inspiring trip to Chengmai in year 2002. 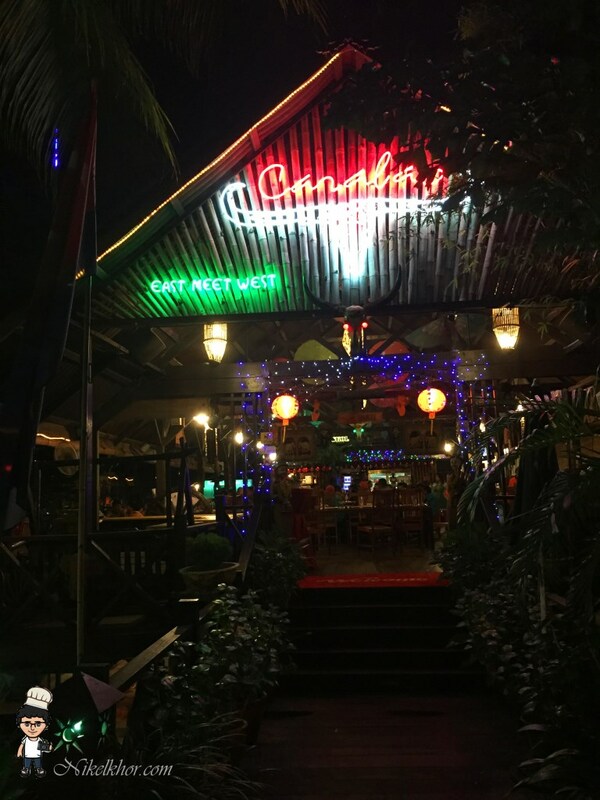 The founder Andi decided to name his business venture after his Harley Davidson Biker's friend who by incident is also the name of the famous Thai Rock Band with Folk Style Music - CARABAO . Imagine a resort-style setting in the heart of the city complete with lush greenery and cool breeze ready to whet your appetite." The restaurant is made entirely of wood, the overall environment sufficiently makes us immersed into the strong feel of nature, it is indeed a new experience for us to dine in at a place without a single brick and cement. 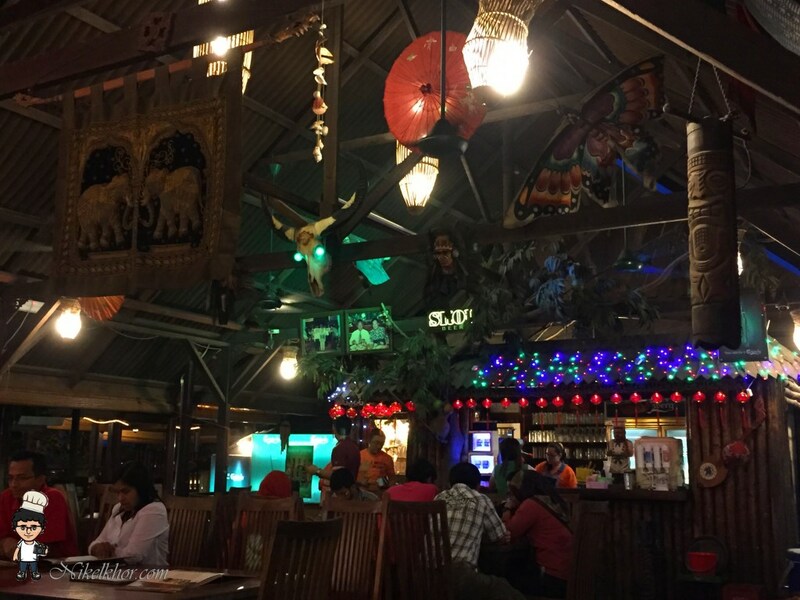 The restaurant is also divided into two parts, one part is the main dining space with regular wooden tables and chairs, their part provides Chiang Mai "Kantoke" cubicle style seating. 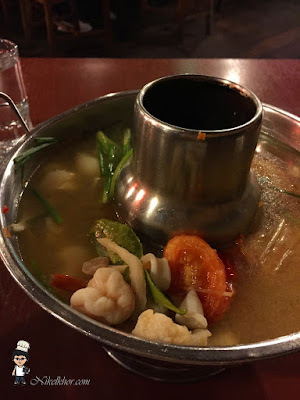 Tom Yam soup is a MUST in Thai restaurant and we especially like clear soup version which we "deem" it to taste lighter (compared to red colour tom yam that normally comes with a layer of chili oil on top). Anyway, the clear soup version does not lose to red colour tom yam, in respect of its hotness and spiciness. With the fragrance of lime leaves and lemongrass, this boiling hot soup definitely opens up our appetite. This is more to Chinese cuisine, not too bad as the ingredients used are very generous (prawn, squid, minced chicken and mushroom). However, the gravy is of a bit overly thick, so if you don't eat it fast, it will end up like glue. 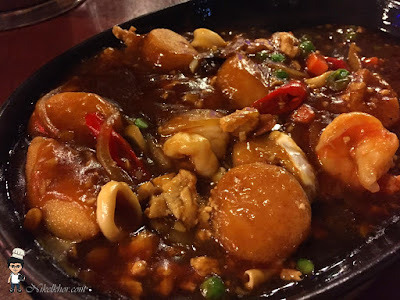 We hardly see the wet version of salted egg prawn in Johor Bahru, and so this dish in the menu (with the tempting picture) attracted our attention. 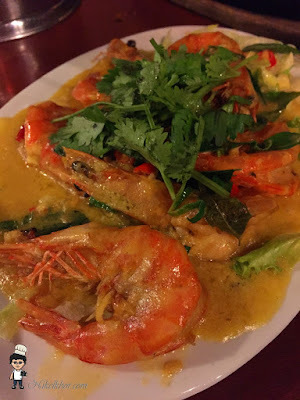 Its name is curry leave prawn in the menu, but the gravy is mainly made from salted egg and butter with a hint of curry leave, not overly strong. This is very good to go with rice and we really like it. This is another section of the restaurant, with Chiang Mai "Kantoke" cubicle style seating. The whole restaurant is open air without air-conditioning, and with all the ferns plants in the premises, it really makes us back to the nature. Overall, the dining experience here was good. 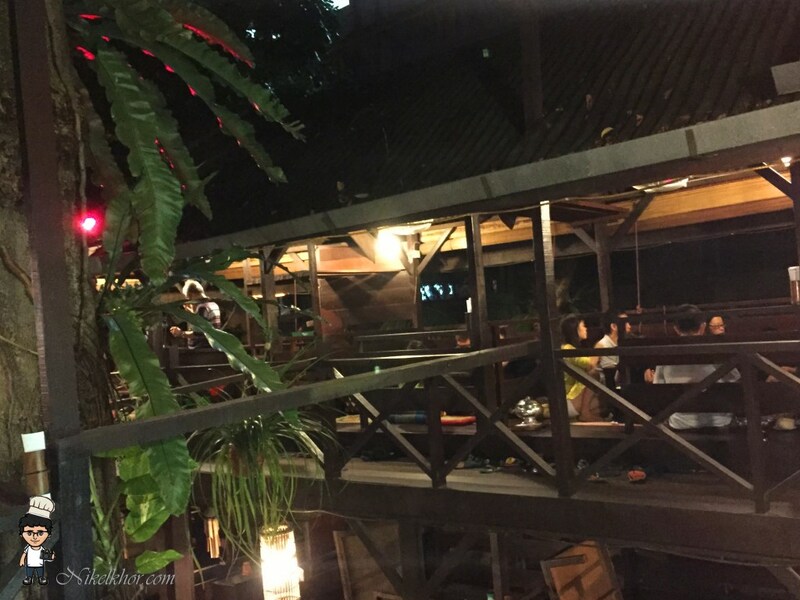 We find this place very suitable for gathering or small party, as it is very spacious and according to the owner, it can accommodate up to 200 people. 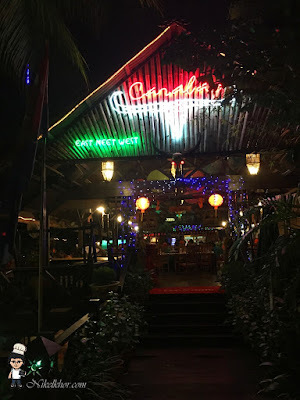 Despite the good food, there is room for improvement on their service, the dishes were served slow and maybe short-handed, it is quite hard to get response from the waiters even after we waived our hands few times.